Do you like to take photos? Are you tired of images that are not ideally focused or blurred but that cannot be taken again? Then you need our flexible tripod. Phone stand made of high-quality materials, which guarantees its durability. Our tripod does not have aluminum parts, like most analogs, which quickly break. We can state this with all confidence since we tested 1,000 flexing of the legs without a single breakdown. 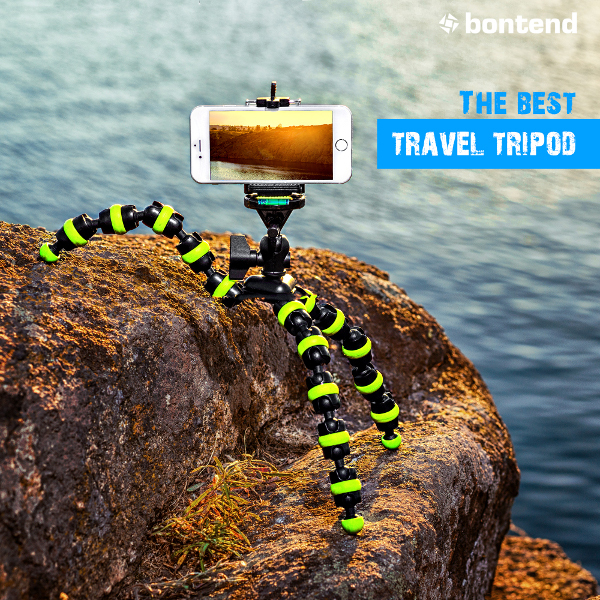 This tripod is ideal for travel because our camera tripod is light and small, which is necessary for carrying it easily.